Farmacist is able to produce sugarcane yield maps using NDVI satellite imagery captured between 2002 and 2015. 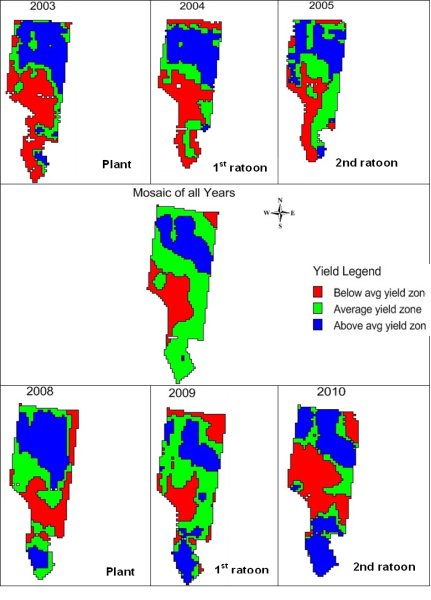 We identify a number of yield zones within paddocks and monitor their stability over time: below average, average and above average. If this is something you're interested in, please contact your nearest Farmacist representative to discuss the avaliability in your area.